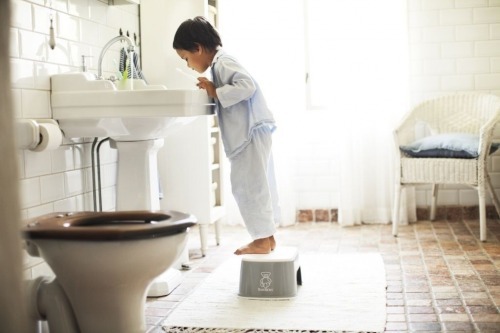 BABYBJÖRN Step Stool makes it easy for your child to reach the toilet or bathroom sink on their own. 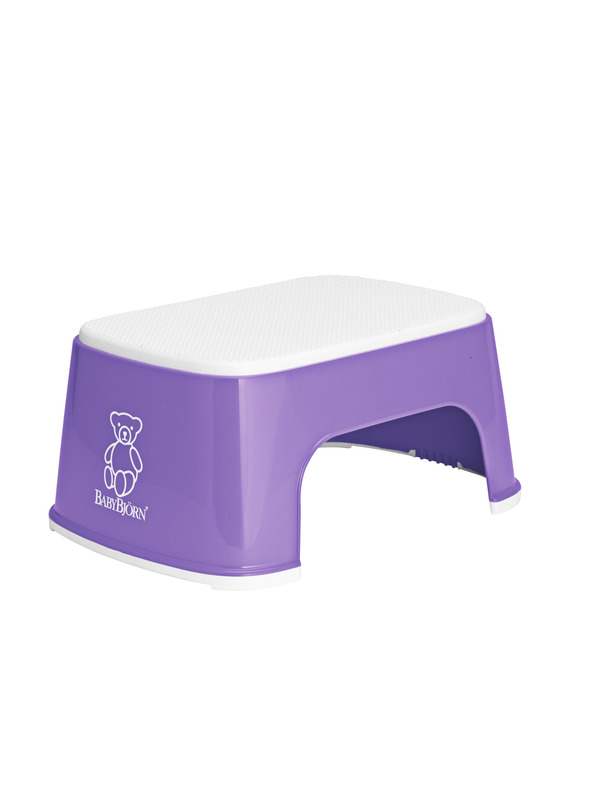 The step stool has a non-slip rubber surface that provides good grip, even if your child has wet feet. The rubber edge on the base keeps the step stool resting firmly on the floor when your child is moving around. The lightweight step stool is easy for your child to get and put away. Simply wipe the step stool with a damp cloth or rinse under running water to keep it clean. 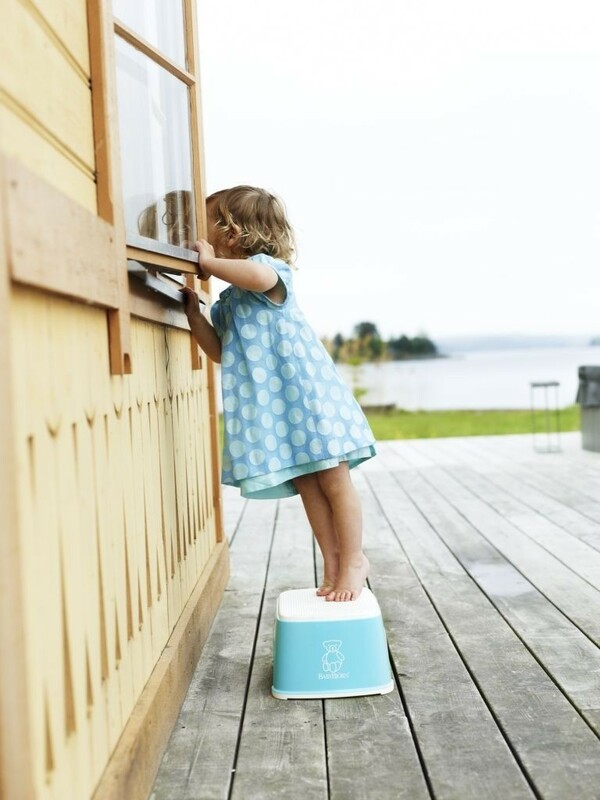 The step stool is made from BPA-free plastic. 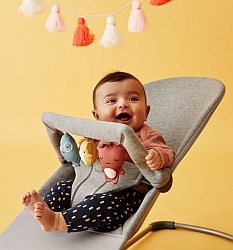 All kitchen and bathroom products from BABYBJÖRN meet the applicable plastic safety requirements in both Europe and the USA. 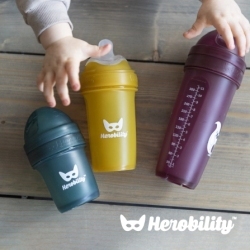 This means that the plastic we use undergoes continual rigorous testing for Bisphenol A (BPA) and other harmful substances and is certified food-safe. 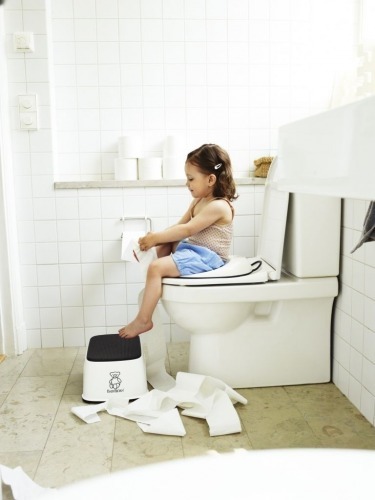 Simply wipe clean with a damp cloth or rinse under running water.